It is important to educate yourself about skilled nursing facility (aka “nursing home”) discharges before you receive the notice that your loved one is going home. Know the ropes so you can make sure your loved one’s rights are being honored and the discharge will be optimum. The following is an excerpt from CANHR’s Long Term Care Justice and Advocacy site. Before a hospital can transfer a patient to another health facility, the hospital must make arrangements for admission to the health facility. (22 Cal. Code of Regs. Section 70717 (f)(1)) The hospital must also have a determination from the patient’s physician that the transfer will not create a hazard to the patient. (22 Cal. Code of Regs. Section 70717 (f)(2)) In addition, the hospital must notify the patient, or the person legally responsible for the patient, or attempt to notify the legally responsible person over the 24-hour period prior to the patient’s transfer. (22 Cal. Code of Regs. Section 70717(f)(3)). During a hospital stay, Medicare beneficiaries have important rights to receive the medical care they need. You have these rights whether you are enrolled in the original Medicare plan or a Medicare health plan. Hospitals have a strong financial incentive to discharge Medicare patients as quickly as possible. Medicare generally pays hospitals flat rates based on the type of medical problem being treated. If the hospital spends less money on your care than Medicare pays, it makes money, and vice versa. 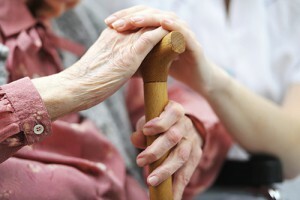 To protect you from being discharged too quickly, Medicare gives you the right to appeal hospital discharge decisions. It also requires the hospital to provide any discharge planning services you need. To access the rest of the article, please visit the CANHR’s website here – CLICK HERE.